Players passing through an abandoned pool hall in Left 4 Dead 2's The Passing might catch a glimpse of the last words of a Capcom character who has covered wars, you know. Possible Dead Rising spoilers ahead? 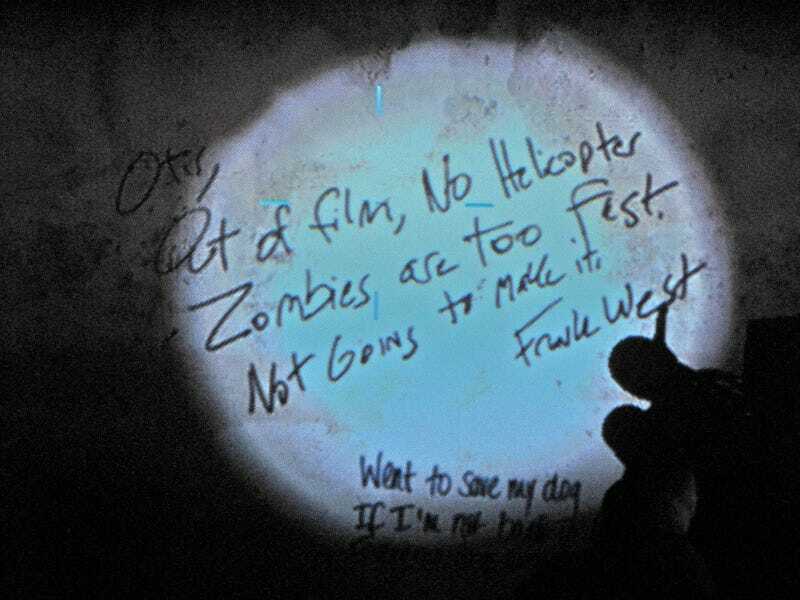 Behold the final words of Frank West, another victim of the zombie apocalypse. Left without film, without a helicopter, and ultimately without hope. Of course things might have turned around for him in that final day, but whenever he wrote this, things must have looked pretty bleak. You have to love the little cross-game nods, don't you? For those curious, keep your eyes peeled during chapter two.